love your nails & shades!! love your glasses! House of Harlow is pretty cool. Addidas nailpolish ! ;) Beautiful ! my favourite blogger, i'm giving away a vintage camera for people like you! :_) you should enter! Loving these photos and the rest. i'v been so slack with the bloggin world lately. i love your sunnies and cute nails! Adidas nails?! How cool. Love how your did it in pink and yellow. dang girl, those sunglasses are beautiful. and lucky you for getting pampered with some swaggy nails. Your nails are sweet. I love the colors and the print! Aww amazing! These are really cute...I love Adidas sporting wear! Thanks so much for reading my blog! Be sure to follow on bloglovin' to keep updated! LOVE the sunnies - very nice! super cute nails! i love those house of harlow glasses! Love the Missy Elliot reference in your title! 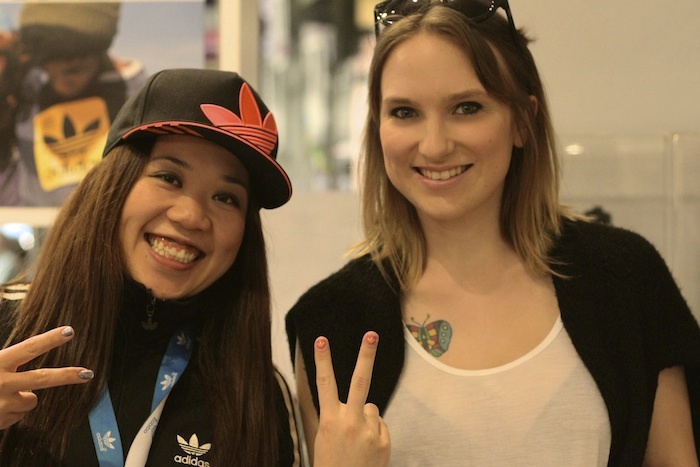 Those nail girls have rad skills, painting tiny adidas logos. I salute them! Love the nails girly and Paula Abdul is a LEGEND! If your a lover of oldskool, chilled out hip hop beats check out the FREE ALBUM DOWNLOAD on my blog today by DJ Jazzy Jeff + Ayah! HAPPY C.ULT FRIDAY CUTIE! I LOVE your nails, they´re amazing. Well good choice of colours you made. 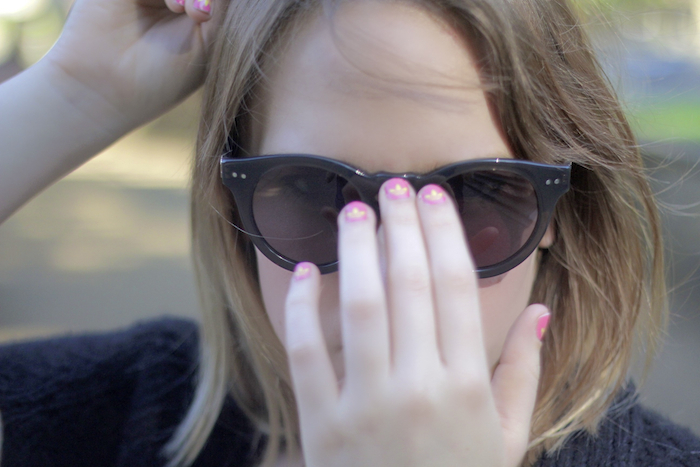 Those sunglasses are so amazing on you and those nails, I want that on my nails. I love your nails! they're so cute! Your nails are so adorable. I love the fancy nail trend right now. Pretty! I love the sunnies. i was admiring the sunglasses in the first pic when i was all like "ARE THOSE ADIDAS DECALS ON HER NAILS???" great, now i want my nails did too!! fab, love the outfit and nails..
omg that is the COOLEST idea to put on your nails. jealous. I love your sunglasses, very cute! wow,adidas nails?!! fantastic! love them! LOVE IT ON U !